Bud could talk ceaselessly about the hope of books, the promise of books. He said it was no accident that a book opened just like a door. The workday was long, so we—the three of us guys—had earned entry into the local gin mill. What a word: gin mill. Not bar. Not tavern (although that particular designation bears its own seedy undertone) and definitely not pub, a hovel distant from the shores of jolly ol’ England, where establishment identification scrolls across swinging boards in loopy script that stoops “Ye” over their complete namesakes like a drunkard hunched over misaligned pints, empty except for glazed foam clinging inside: Patron and intoxicant equally determined to keep from slipping to the bottom of the glass. Gin mill. More mysterious. Extra dangerous. Calling us. And closer to home. Pulling up to the parking lot, prior to drinks assuming responsibility for shifting perceptions, the lines of the building’s squat, boxy frame already tilted at a collapsible angle. A careless stumble against a wall would trigger the whole place to topple. Nearly dilapidated described the joint, but cosmetic neon tint from a Pabst sign in the window brushed off the reflective surfaces on the only other car in front and preened ingress. Open for business. The main door pulled outward on a squeaky hinge, initiating a night of rewards. Despite coming in from the evening dark, eyes still took time to adjust to a shadowy interior. Nostrils also needed to adapt to the yeasty inhale of stale spilled beer and vaporous spirits mixed with the acrid stink of mildewed mop water sloshed about after last call the night before. I never detected the precise moment when the environs turned brighter and fresher than outside, for, in our assimilation, we hung in the air, too. Frank, the boss, ordered first. Scotch on the rocks. My father requested an Old Style on tap. The bartender prepared those drinks, before turning his attention to me. By Frank, he plunked down a short glass of shimmering rusty colored booze wrapped around ice. Dad's beer bubbled in a pilsner, as if it were attached to an air pump in an aquarium. “And you, partner? How ’bout the usual?” the bartender said. Dad and Frank chuckled. I gave a nervous nod, unsure what to expect. The guy poured a Coke straight from the soda gun. Frank and Dad talked nonstop. Meanwhile, I sat, soaking in the ripened atmosphere. Tiers of multicolored bottles on the back counter configured a miniature cityscape. A punctured dart board hung minus any darts. A pool table filled one corner; its green cloth top cluttered with scattered solids and stripes, inviting someone new to finish what players had left behind. Cigarette butts lay snuffed out in provocative contortions in beds of ashes, and a pin-up calendar near a clunky register flashed the month at a glance. Eventually, I fixated on the customer who sat on a stool apart from anyone else. His isolation rejected my gaze. As sugar and fizzy carbonation sent me in a spin, every inch of me knew that my presence was an unspoken exception. I was underage, tagging along. An airy sense of disconnect burbled to my head. I recognized that I had a ton of growing up to do. Nevertheless, considering my relative welcome in a setting nurturing illicit happenings, a gut feeling told me that I was well on my way. 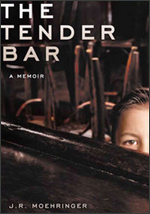 Long before it legally served me, the bar saved me.